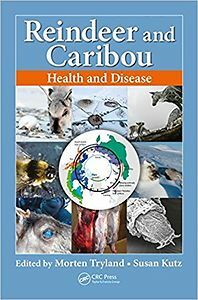 This book is a comprehensive presentation of health and diseases in reindeer and caribou, or just Rangifer, a key Circumarctic species with broad social and ecological value. It is an essential reference for anyone interesed in the biology and health of wild or semi-domesticated reindeer and caribou, and is more broadly relevant for those with interests in other species of free-ranging and captive cervids. Beginning with a general introduction to Rangifer as a species, it then focuses on Rangifer "health" as a consept and describes the determinants of health at an individual and population level. Chapters cover a range of topics from nutrition and feeding to stress, non-infectious and infectious diseases, meat hygiene, capture and restraint, diagnosis and treatment of health issues, and finally, potential impacts of climate change on health of Rangifer. Reindeer and Caribou: Health and Disease compiles extensive research and experience-based information on issues ranging from drug doses for chemical immobilization, blood chemistry values, and raising an orphanen calf. In addition, it contains hundres of high quality colour illustrations that contibute to its value as a diagnostic resource for recognizing various parasites, pathogens and signs of disease, both in live and dead animals. Each chapter is followed by a comprehensive list of references and a lis of contact information for all the contributors, identifying world experts in the different indispensable resource for anyone dealing with health in reindeer and caribou, including veterinarians, wildlife biologists and managers, reindeer herders/game ranchers, zoological husbandry personnel, and students concerned with wildlife health.